The resimercial trend, or using residential aesthetics in commercial markets, has been used in more and more offices across the country recently. This trend has taken over workspaces by incorporating more home-like elements, furniture, and designs with open floor plans and increased space for collaboration and relaxation. What was once just an idea or trend has since launched into a leading design concept that is transforming commercial spaces with more homelike aspects. The combination of technological advancements, a new generation of employees, and an increased emphasis on work-life balance have led to the rise of resimercial furniture in offices. Transforming standardized spaces and traditional floor plans, the resimercial office design has an emphasis on creating variety and open-space concepts for comfortability. Employers have begun to embrace the resimercial trend as the layout offers increased opportunities for organic collaboration and teamwork between coworkers. Furthermore, its focus on making work-life fun and enjoyable increases employee retention. The professional world is now accommodating to a multi-generation workforce and in result, is redefining typical offices with a new layout that incorporates homelike furniture, influences, and tones to help boost creativity and productivity. The shift towards making offices more welcoming comes concurrently with the rise of the millennial generation entering the career field. As a way to encourage and engage this new group of workers, the resimercial trend focuses on making offices a comfortable place to be in. The idea behind focusing more on workspace layouts is that happy and comfortable employees are better employees. This is why workforce leaders such as Google and Apple have begun to improve offices to make them welcoming spaces where creative collaboration is celebrated. Paving a new style, the new office design is creating areas with space to recharge, corners built for creative engagement, and meeting rooms to produce productive results. Employees are no longer confined to solitary spaces and have more freedom and flexibility with the relaxed aesthetic. The diverse design gives employees a greater opportunity to decide themselves what and where is the best way to be productive and inspires greater innovative participation and work-life balance. The trend of resimercial furniture in the workplace strives to provide a flexible environment that fosters new ideas and increased teamwork. Open concept offices combine function and a focus on well-being by implementing new resimercial furniture with these key aspects in mind. Versatility: A goal of the rise of resimercial furniture in office spaces is to create a versatile workspace that balances work life. This trend strives to have furniture that is both practical for productivity but versatile in style to be aesthetically more homelike. 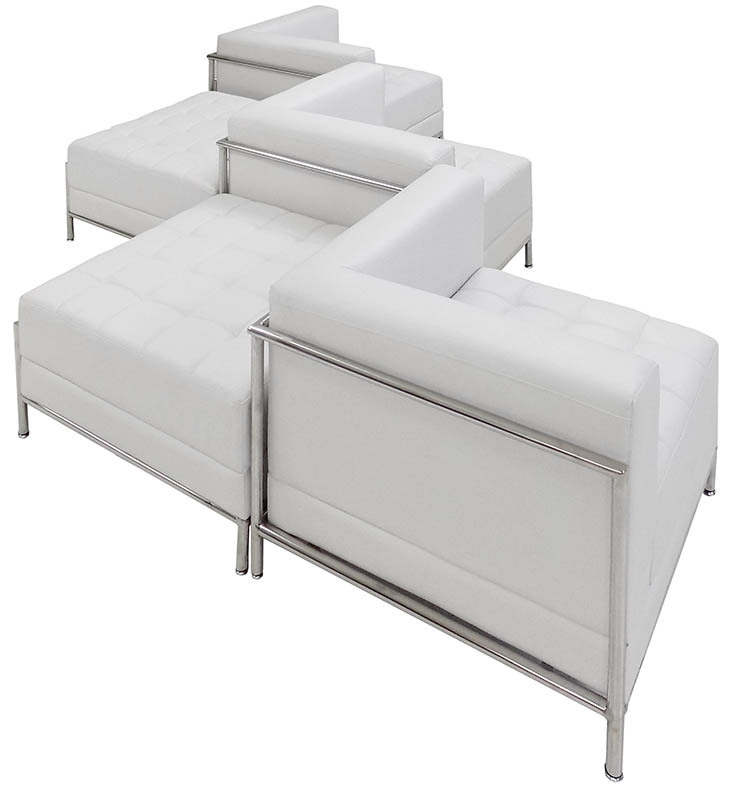 Comfortability: Resimercial furniture prides itself on comfortability. The rise in offices embracing the resimercial trend is largely due to the want to make work a happy and enjoyable place to be. Focusing on comfortability increases retention while simultaneously attracting a new generation of employees. Creativity: A goal of open office layouts with resimercial accents is to create new spaces where employees feel comfortable collaborating on projects and new ideas. The resimercial design layout has a focus on creating spaces that facilitate movement and interconnection. The resimercial trend has begun to seep into office designs across the nation as a bigger emphasis is being put on a practical and comfortable work life. Its open concept and versatility embrace a new culture of teamwork in the office and provides flexibility in daily activities. Resimercial furniture in office spaces opens up a new design trend that’s primary focus is combining function and homey inspirations to increase engagement and productivity among employees. 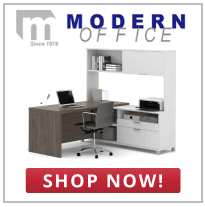 Find key resimercial pieces at Modern Office Furniture to bring this design concept to your workplace today.